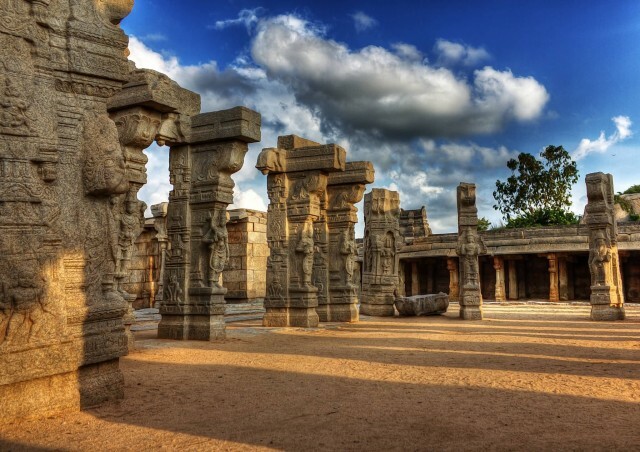 Lepakshi is a small village in Mandal located in the Anantapur District of Andhra Pradesh, India. It is 15 km east of Hindupur and approximately 120 km north of Bangalore. 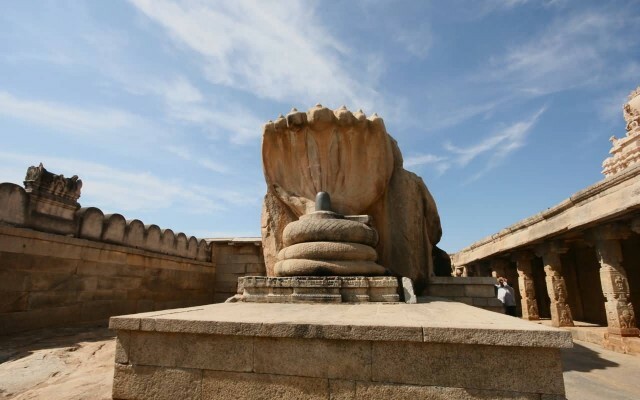 Lepakshi is historically and archaeologically significant as it has three shrines dedicated to Shiva, Vishnu and Veerabhadra. 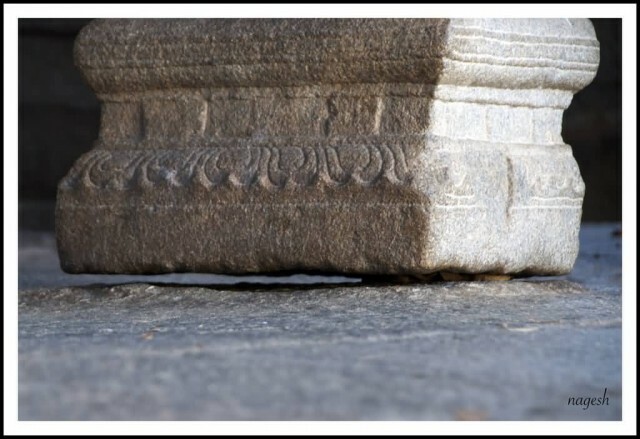 These shrines were built during the Vijayanagara Kings’ period (1336–1646). 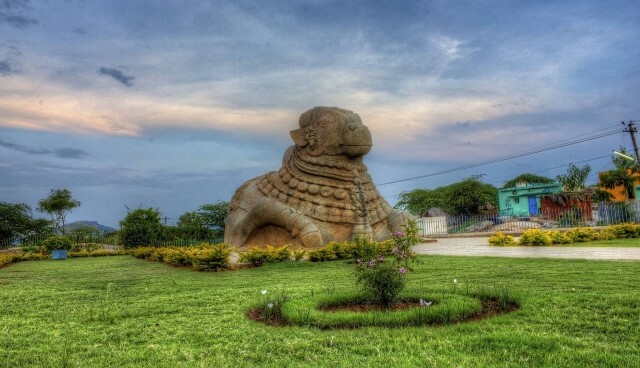 One of the main attractions in Lepakshi is a large Nandi bull made of a single granite stone. The famous Veerabhadra temple dedicated to Veerabhadra is here. 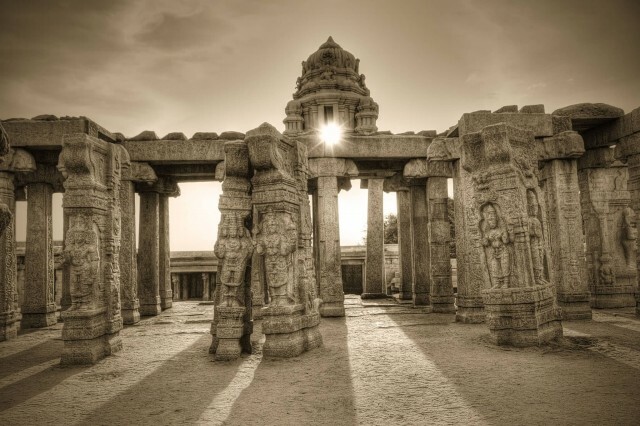 Built by the brothers Viranna and Virupanna, the temple is a notable example of the Vijayanagar architectural style. There are many peculiarities in this temple such as a rock chain, Vastu Purush, the Padmini Race Lady, the Hanging Pillar, Durga Paadam, Lepakshi saree designs and others. On the walls of this temple, several stories like the Mahabharatha and the Ramayana are sculpted.